As much as I love all the salads, popsicles, and ice creams that come along with summer, by August I’m ready for soup season. Not only do I love soup, but I’m also ready for it to not be a bazillion degrees outside. Even though it doesn’t usually cool off down here in the south until November, snuggling up with a warm bowl of comfort food and feeling it nourish me from the inside out is worth the extra heat! Even as a child growing up, I’ve always loved soup. While chicken noodle soup was probably my favorite back then, pasta wasn’t a staple in my mom’s kitchen. Veggies were her love language, and her homemade creamy broccoli soup was one of my favorite veggie soups that she made. I’ve never been a huge ‘green tree’ fan. Stick broccoli in a soup with spices and cheese and it’s got my name written all over it! Since my real food revolution (a.k.a. 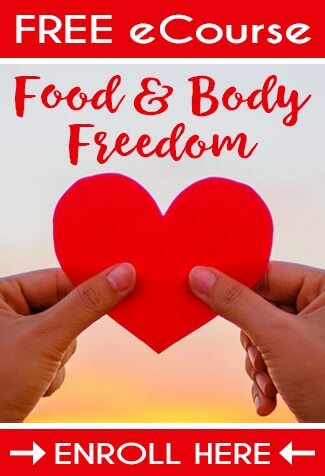 living with gluten-intolerance) I’ve been on a journey to healthy foods I grew up with even healthier! Instead of making my soups with milk or plain water, I love to use homemade bone broth for the base. It not only adds a nutritional boost, it takes the flavor to a whole new level as well. Even though I try and keep my dairy intake to a minimum (other than the cultured variety), I don’t mind adding cheese and milk to my soups to help give them a sweeter flavor (as well as make them a tad more kid-friendly). I also like to incorporate meat to my soups whenever possible for added, easily-digestible protein. For those of us on a rather strict budget, adding meat into soups instead of as a main dish is a wonderful way to stretch it and make your soups more filling. 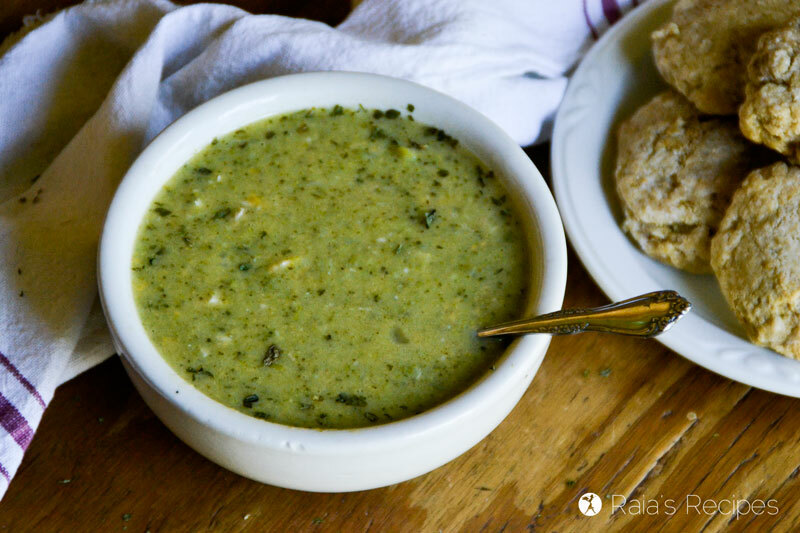 In the beginning of the week, I usually roast up a whole organic chicken, serve it for dinner along with roasted potatoes, carrots, or rice, and then save half of it for another meal – like this Cheesy Chicken & Broccoli Soup. You’ve probably seen it floating around the real food internet, but have you ever tried the Instant Pot (IP)? I admit, when it first came out I was rather skeptical of all the hype. Pressure cookers are great and all, but who really needs another kitchen contraption? Only kind of joking. I finally broke down and got myself an IP last month while it was on sale and let me tell you – IT. IS. AMAZING. I didn’t think I would come to love it as much as I already have. 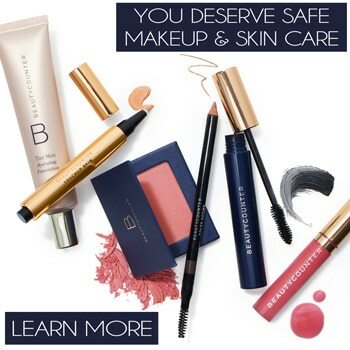 I honestly use it almost daily! It’s been a life-saver when it comes to saving time and energy making meals, as well as keeping my house cool when it’s scorching outside. Even though I’m a minimalist when it comes to gadgets, buying myself an Instant Pot allowed me to get rid of my slow-cooker and my yogurt maker. Plus, it also doubles (or quadruples?) as a rice maker and pressure cooker! It makes the most amazing roasts, perfectly fluffy quinoa and rice, fork-tender beans, and delicious homemade yogurt! But back to the Cheesy Chicken & Broccoli Soup. Since the IP is a pressure cooker, making soup in it is a tad different than making it on the stovetop. The main reason is because you don’t lose any liquid during the cooking process, so you can use less, but you also don’t have to stir anything! Making soup in the Instant Pot also cuts down on the cooking time immensely. This soup cooks in less than 10 minutes – not including the pressurizing time. 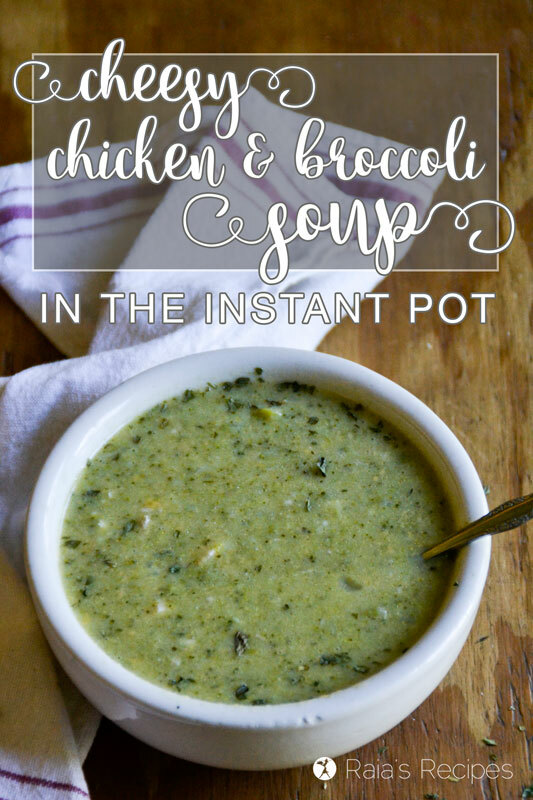 If you’ve been on the fence regarding the Instant Pot, I suggest you bite the bullet and get yourself one and give this delicious Cheesy Chicken & Broccoli Soup a try! Don’t have one or don’t know what it is? You can find them on Amazon here. Jessica and Orleatha also recorded a How to Use Your Instant Pot video that you can watch below. Turn the Instant Pot on to ‘sauté,’ and add the onion and fat. Sauté until translucent (just a few minutes), then add in garlic and cumin and sauté about a minute longer (just until fragrant). Turn IP off and add in broccoli, salt, pepper, and stock. Turn on to ‘manual’ and push the -/+ button until it says 4 minutes. When it beeps, release the pressure quickly by turning the seal to the venting position. In a small bowl or liquid measuring cup, whisk the tapioca into the milk. Stir the mixture into the hot soup to thicken it. Stir in the shredded cheese until melted, then add the chicken and serve. 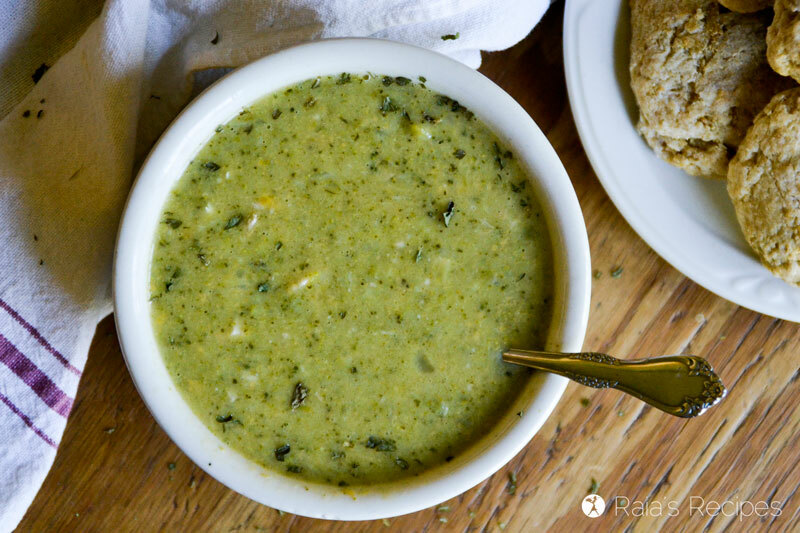 Pin this Cheesy Chicken & Broccoli Soup in the Instant Pot for later! Hi, I was wondering if Arrow Root could be used in the place of the Tapioca starch? Hi Diane! Thanks for stopping by. Yes, in this recipe, that substitution will work fine! Enjoy!